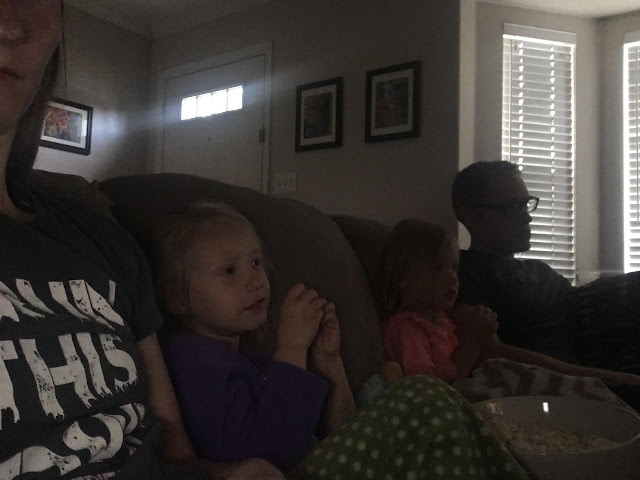 Our weekend started out with an evening movie. After my evening run, we put V down and let the girls stay up extra late to watch Beauty and the Beast. What you don't see is that it was stinking hot! And after that run (and all through the movie) I sweat through two different shirts. I had my first morning run the next day. I'm not sure if I was still dehydrated from the night before or if it was just because it was morning, but this run was HARD for me. 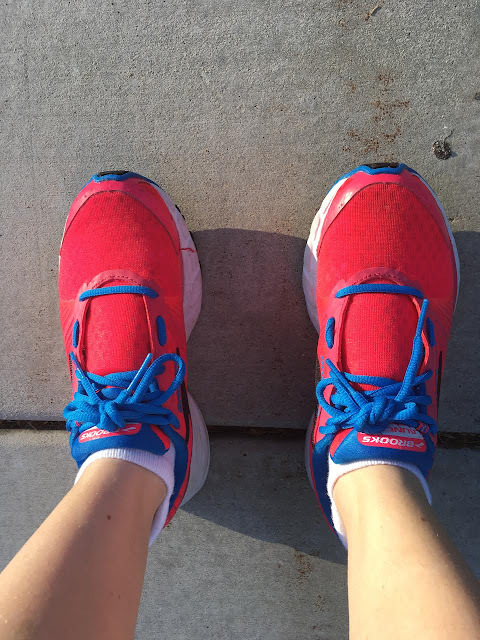 After a mile and a half, I called it quits and reminded myself to take baby steps in any of my running changes. I need to find a good way to hydrate for my morning runs without drinking so much I'm in the bathroom all night instead of sleeping. 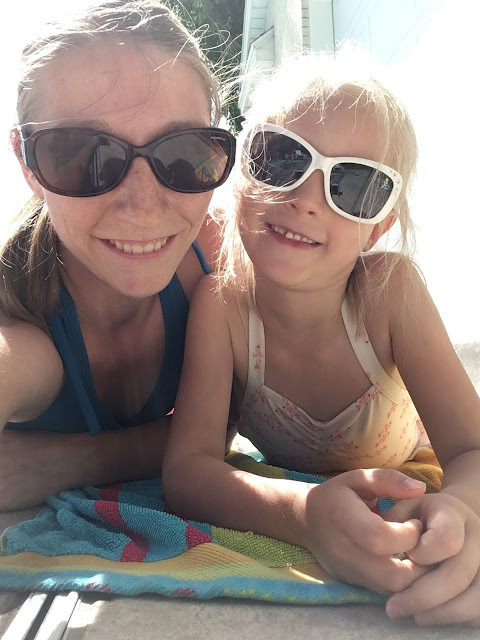 After some recovery and hydration, we spent some time in the pool. This little one is a pretty close clone to me as a kid. Notice the tooth that his hanging on my a thread? She won't let us touch it. 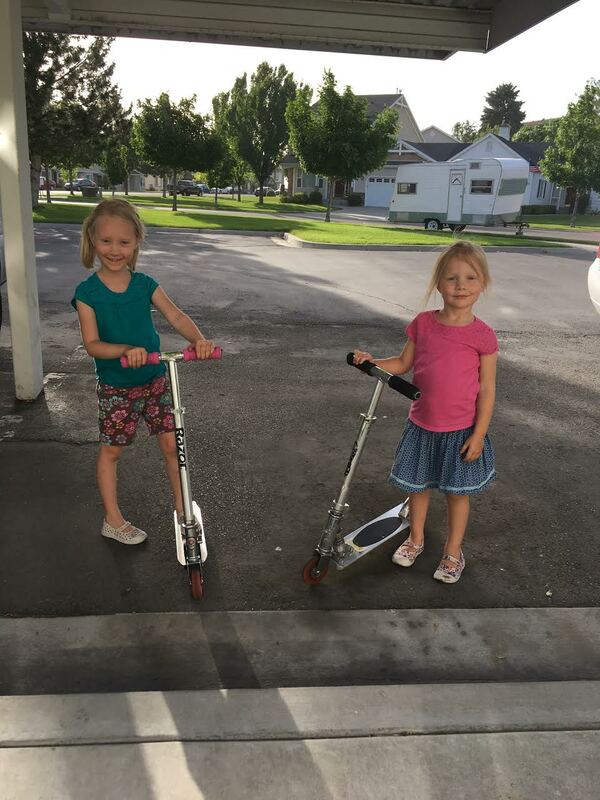 Friday evening I surprised the girls with these scooters. One of my parent's neighbors were having a yard sale and we got a good deal on these. The girls rode on their scooters and played with one of the sweet neighbor friends while we worked on the camper most of the day on Saturday. We pulled the carpet up and all the trim around the floor. We finished our Saturday with a family swim. V loves the water. Most babies fuss a little bit their first time in, he laughed and squealed. 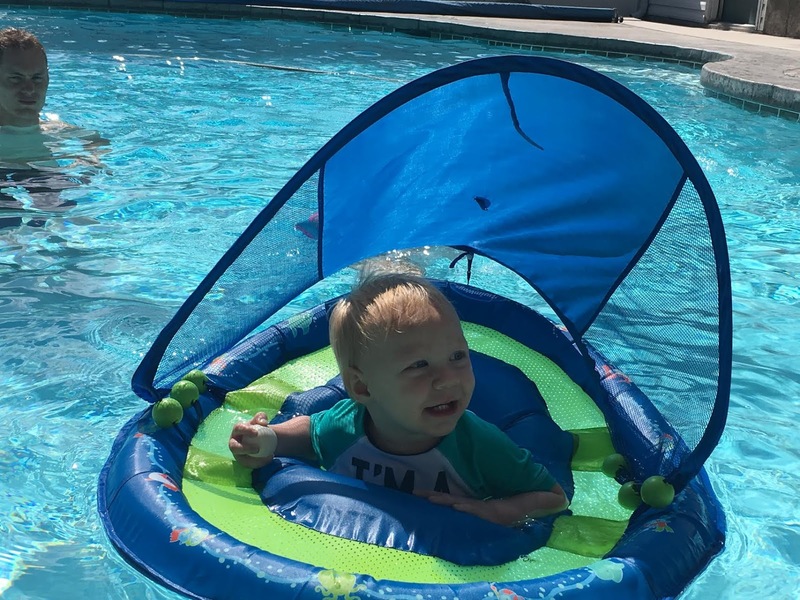 This boy has a summer heart like his momma. How do you hydrate for morning runs?